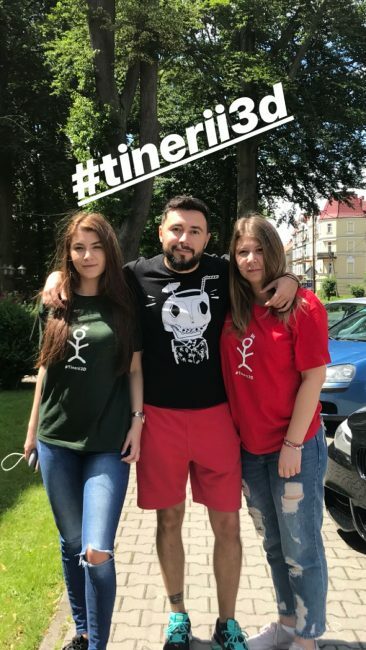 Tinerii 3D took part to “Get real stay social” Erasmus+ project in Gryfów Śląski, Poland during 18 – 26 June. The main aim of the training is to develop enterpreneurial skills and raise level of knowledge in social entrepreneurship. 1. To present social entrepreneurship as a way to tackle youth unemployment by providing youngsters with more options to gain relevant experience for their future employment. 2. To present social entrepreneurship as a way for volunteers to offer more options to spend time in order to avoid social exclusion, which can lead to joining radical groups. 3. To show good examples and practice of including people with fewer opportunities in social entreprises. 4. To teach youthworkers enterpreneurial skills like creating and leading a team, decision-making, public speaking, communication, fundraising and many others. 5. To provide knowledge and skills for youth workers to be able to transfer the skills to future social entrepreneurs via workshops, coaching, mentoring, or to transfer the knowledge through more youth projects and educational activities.